Ron Arnold had a weekend that racers dream about. He showed up on Friday with ‘Team DRR,’ and they parked at the back of the staging lanes so they wouldn’t miss a round of racing. He entered five classes over the weekend and walked away with big money and bragging rights while having fun with his friends. Along with 21 round wins in one weekend! Not a bad weekend! It may have been a hot weekend with high temperatures and little cloud cover, but Ron Arnold was hotter as he took an extraordinary twenty-one round wins over two days of racing. 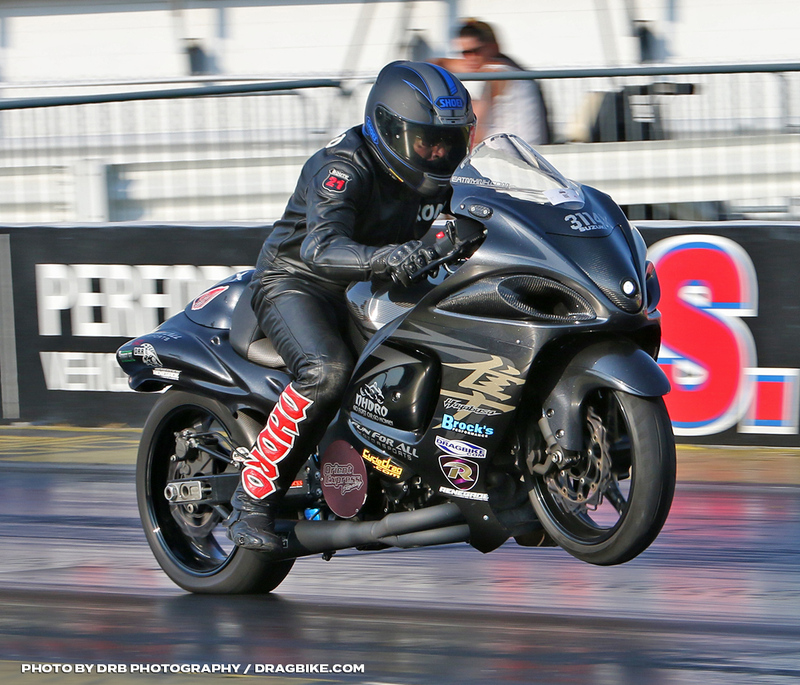 “This weekend was the best I have ever been on the tree with both motorcycles,” said Arnold. And that was the truth, Ron was cutting many .00 lights, including a .000 light that Jeremy Murphy was on the receiving end. And when you live on the edge of perfect lights, you also typically get bitten with a red light here and there, and that was the case for Arnold when he would basically take himself out of the running in several classes. He entered Street ET on both days and accumulated six round wins, but would take a loss in the quarterfinals for each. In Super Comp, he qualified number one with an 8.904 and earned three wins in that class until he cut a -.004 red light in the quarterfinals against Joe Klemme. In the 9.50 index class of Street Fighter, Arnold qualified number three with a 9.51 and would win six rounds to defeat Vince Hileman in the final. This win now moves Ron to the third in points with two races left in the season. And in the 8.88 index class of Crazy 8’s, he would win another six rounds to defeat Travis Kotz in the final for his second win of the weekend! 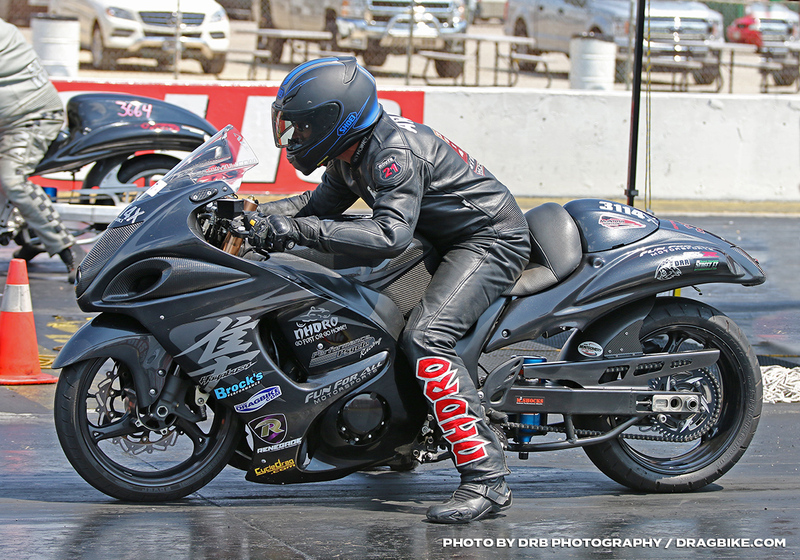 He is now second in points in Crazy 8’s, only 4 points behind the leader to give him a genuine possibility at taking two championships this year with NHDRO, if his performance stays on course for the two events in September, Ron Arnold will have himself a championship. Along with these two wins, this now moves Ron into the 3rd place position of the Dragbike.com BAMF tied with Tom Klemme and Dale Hamilton. 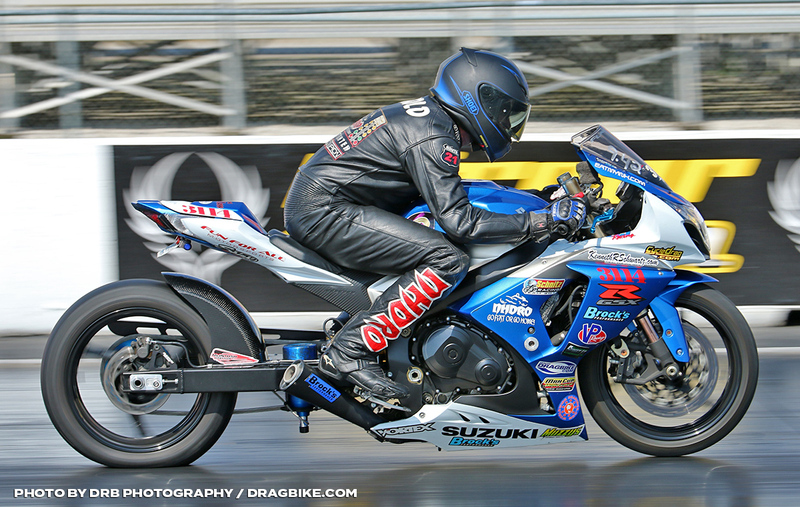 Next race for Ron Arnold will be September 7-9 at Ohio Valley Raceway with the NHDRO series. Ron thanks his sponsors and friends for their support: Fun For All Motorsports Lori & Corey, Brocks Performance, Schnitz Racing, McIntosh & Grayson, M2 shocks, Montgomery Motorsports, Renegade Racing Fuels, Dragbike.com, Eatmyink.com, his DRR teammates Dustin, Wes & Mel for food and lodging, NHDRO, Brian and Nicki Welch and staff and the staff at Lucas Oil Raceway, and his supportive family.